"People have said I look like Superman. Back when I had hair." Superman is a fictional character regarded as one of the most famous and popular superheroes of all time. Created by Canadian artist Joe Shuster and American writer Jerry Siegel in 1932 while both were growing up in Cleveland, Ohio, and sold to Detective Comics, Inc. in 1938, Superman first appeared in Action Comics #1 (June 1938) and subsequently appeared in various radio serials, television programs, films, newspaper strips, and video games. He has since become one of the world's most recognized superheroes and pop-culture icons. Today the character's adventures are published in a number of comic books. As portrayed in Action Comics #1, Superman was born on the planet Krypton as Kal-El, and rocketed to Earth as an infant by his scientist father moments before the planet's destruction. The rocket landed on Earth where a passing elderly farm couple found the baby and adopted him. As the child grew to adulthood he discovered that he possessed powers far beyond those of mortal men and resolves to use his powers to help others. 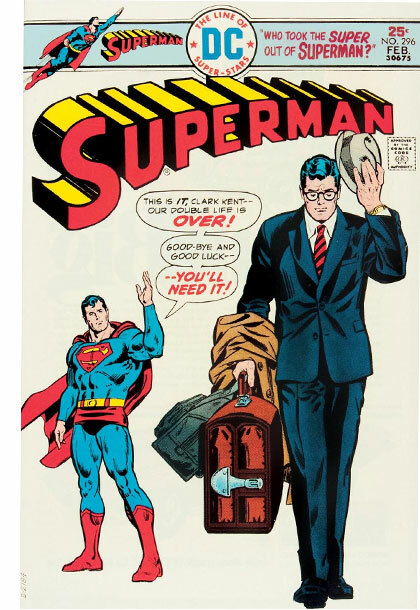 To keep his identity secret when not fighting the forces of evil as Superman he lives among humanity as "mild-mannered" Clark Kent, in the fictional American city of Metropolis, as reporter for The Daily Star (later changed to The Daily Planet). 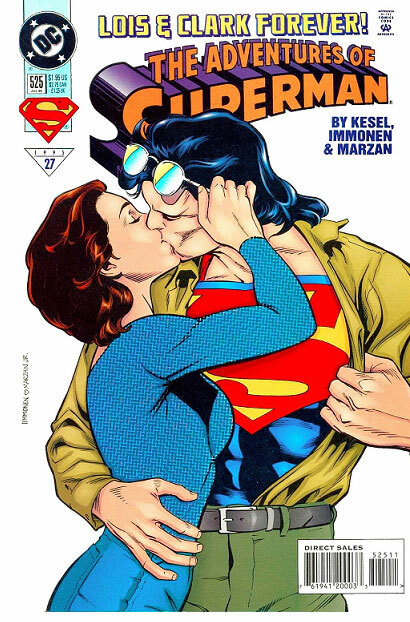 Clark works alongside reporter Lois Lane, with whom he is romantically involved (and married to in current comics continuity) and his archenemy is supervillain Lex Luthor. He is typically a member of the Justice League and close ally of Batman and Wonder Woman. 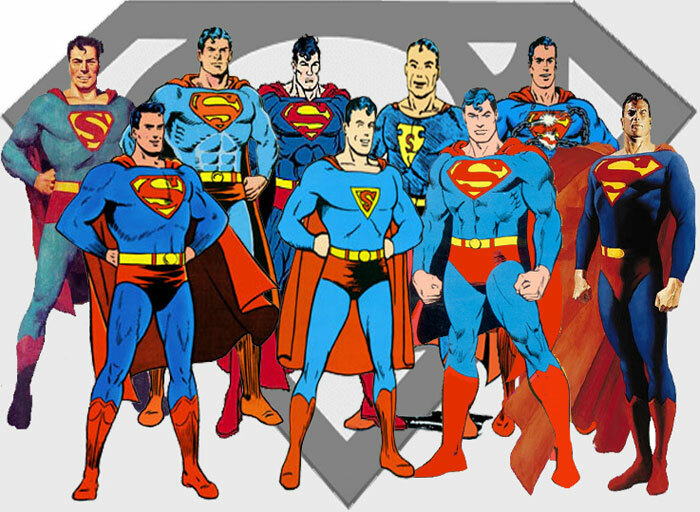 Like other characters in the DC Universe, several alternate versions of Superman have been depicted over the years.. Some of his nicknames include "The Man of Steel" (his most famous), "The Man Of Tomorrow", "The Last Son of Krypton", and "Metropolis' Favorite Son". Superman's appearance is distinctive and iconic; he usually wears a blue costume with a red-and-yellow emblem on the chest, consisting of the letter S in a shield shape, and a red cape. This shield is used in many media to symbolize the character and is widely considered an American cultural icon. He has fascinated scholars, with cultural theorists, commentators, and critics alike exploring the character's impact and role in the United States and worldwide. The character's ownership has often been the subject of dispute, with Siegel and Shuster twice suing for the return of rights. The character has been adapted extensively and portrayed in other forms of media as well, including films, television series, and video games. Joseph Shuster (below right) was born in Toronto, Ontario, the son of Jewish immigrants. His father, Julius, an immigrant from Rotterdam, and his mother, Ida, who had come from Kiev, were barely able to make ends meet. As a youngster, Shuster worked as a newspaper boy for the Toronto Star and, as a hobby, he liked to sketch. The sights and sounds of a big city newspaper, the hustle bustle of its offices, and the fantasy world of the newspaper's color comics had a powerful impact on him. He was a cousin of one of Canada's most popular comedians, Frank Shuster (of Wayne & Shuster fame). At the age of ten, Shuster's family moved to Cleveland, Ohio. Jerry Siegle (above left) was the son of Jewish immigrants from Lithuania, the youngest of six children. His father Mitchell was a sign painter who opened a haberdashery and encouraged his son's artistic inclinations. Tragically, Mitchell Siegel was shot and killed in his store by a thief when Jerry Siegel was still in junior high school. At Glenville High School he worked for the weekly student newspaper, The Torch. He was a shy, not particularly popular student, but he achieved a bit of fame among his peers for his popular Tarzan parody, "Goober the Mighty". 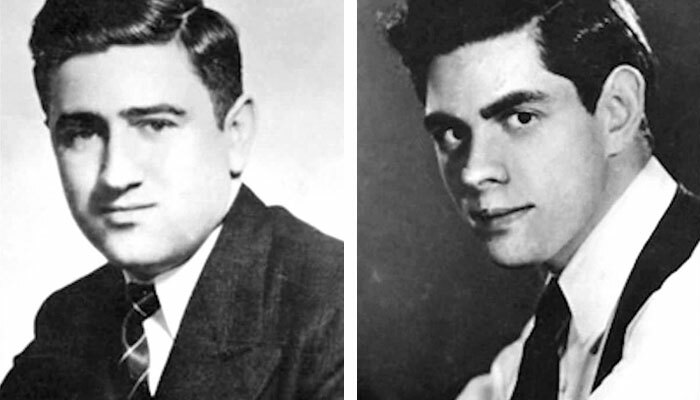 At Glenville he befriended his later collaborator, Joe Shuster. 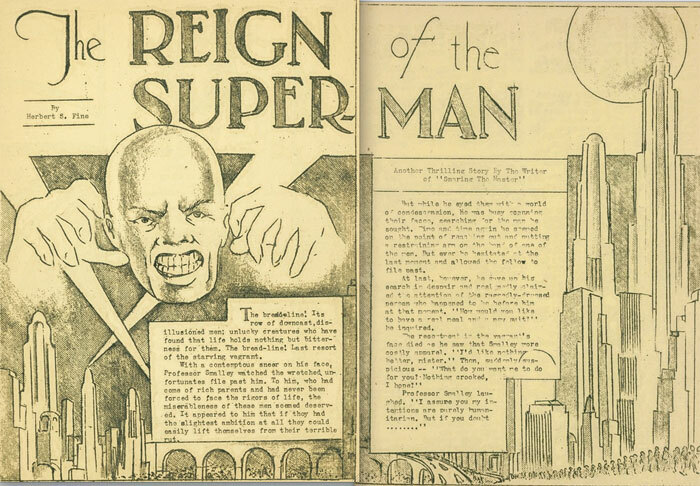 In January 1933, while still a Cleveland high school student Jerry Siegel wrote a short story, illustrated by his friend and classmate Joe Shuster, titled "The Reign of the Superman", which Siegel self-published in his fanzine, Science Fiction. It featured a bald-headed villain bent on dominating the world. The character starts a as vagrant who gains vast psychic powers from an experimental drug and uses them maliciously for profit and amusement, only to lose them and become a vagrant again, ashamed that he will be remembered only as a villain. The fanzine did not sell well so Siegel and Shuster shifted to making comic strips, which they self-published in a book they called Popular Comics. The pair dreamed of becoming professional authors and believed that syndicated newspaper strips offered more lucrative and stable work than pulp magazines. The art quality standards were also lower, making them more accessible to the inexperienced Shuster. In June 1933, Siegel developed a new character, also named Superman, but now a heroic character, which Siegel felt would be more marketable. 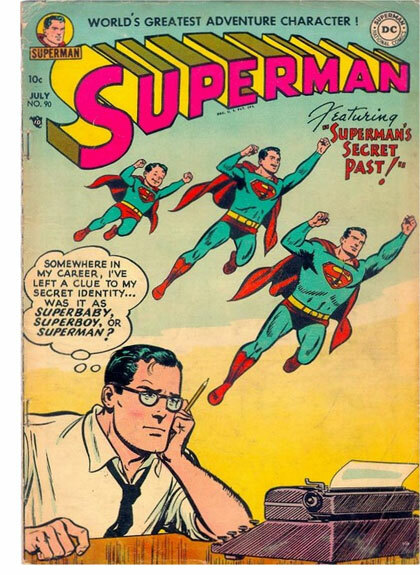 In the story a journalist named Clark Kent pretended to be meek and mild-mannered but was secretly the mighty Superman. He was enamored with Lois Lane, but she scorned Clark Kent and was attracted to Superman, not knowing that Kent and Superman were the same person. This early prototype of Superman was merely a strong human who had no superpowers, nor his familiar costume. Siegel shared his idea with Shuster and they decided to turn it into a comic strip. The first publisher they solicited was Humor Publishing in Chicago, which released three proto-comic books in 1933. Although Humor Publishing was not a syndicate, Siegel and Shuster had read one of its books, Detective Dan, and fel t they could match its quality. A representative of Humor Publishing was due to visit Cleveland on a business trip and so Siegel and Shuster hastily put together a comic story titled "The Superman" and presented it to the publisher. In late August of 1933, Humor Publishing replied with an encouraging letter, but later ceased publishing comics altogether. Siegel believed publishers kept rejecting them because he and Shuster were young and unknown, so he looked for an established artist to replace Shuster. When Siegel told Shuster what he was doing, Shuster reacted by burning their rejected Superman comic, sparing only the cover. Siegel solicited multiple artists and in 1934 Russell Keaton, who worked on the Buck Rogers comic strip, responded. In nine sample strips Keaton produced based on Siegel's treatment, the Superman character further evolves: In the distant future, when Earth is on the verge of exploding due to "giant cataclysms", the last surviving man sends his child back in time to the year 1935, where he is adopted by Sam and Molly Kent. The boy exhibits superhuman strength and bulletproof skin, and the Kents teach him to use his powers for good. However, the newspaper syndicates rejected their work and Keaton abandoned the project. Siegel and Shuster reconciled and resumed developing Superman. 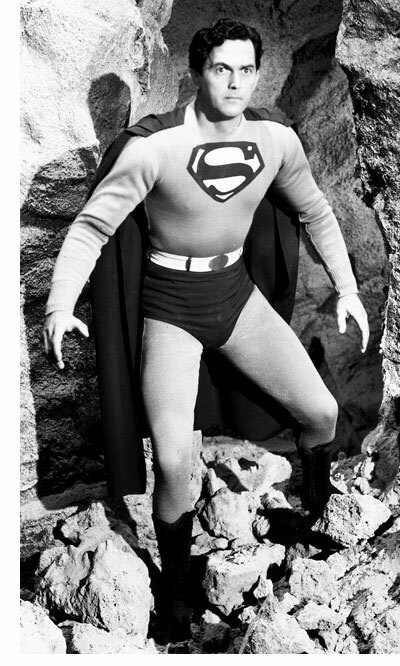 The character became an alien from the planet Krypton with the now-familiar costume: tight-fitting clothes with an "S" on the chest, over-shorts, and a cape. 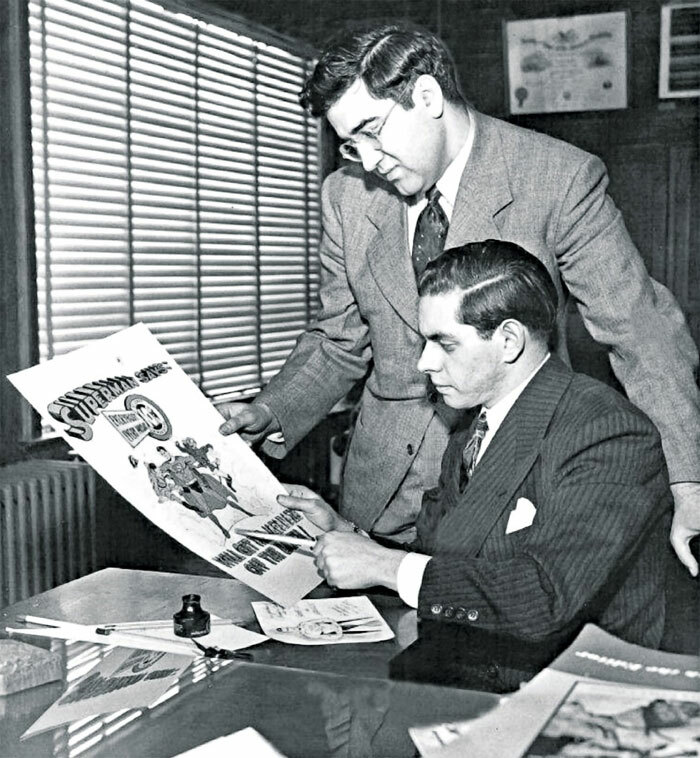 Siegel and Shuster entered the comics field professionally in 1935, producing detective and adventure stories for the New York-based comic-book publisher National Allied Publications. Although National expressed interest in Superman, Siegel and Shuster wanted to sell Superman as a syndicated comic strip, but the newspaper syndicates all turned them down. Max Gaines, who worked at McClure Newspaper Syndicate, suggested they show their work to Detective Comics (which had recently bought out National Allied). They submitted 5 strips for consideration in a new title called Action Comics. Superman was chosen to be the lead feature in the company's issue in 1938. In March 1938, Siegel and Shuster sold all rights to the character to Detective Comics, Inc. for $130. Superman, was an enormous success that led to what is referred to as the "Golden Age of Comic Books." When Superman first appeared, its hero, Clark Kent, worked for the Daily Star newspaper, named by Shuster after his old employer in Toronto. On this basis, Toronto, rather than New York City, could be seen as the model for Metropolis. 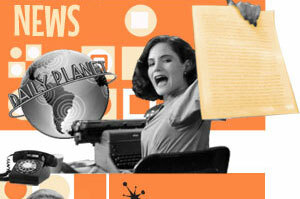 When the comic strip received international distribution, the company permanently changed the name to The Daily Planet. Siegel and Shuster were avid readers of pulp science-fiction and adventure magazines, and many stories featured characters with extraordinary powers such as telepathy, clairvoyance, and superhuman strength. 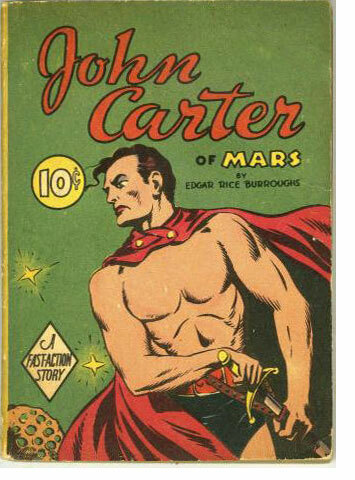 An influence was Edgar Rice Burroughs' John Carter of Mars, a human who was displaced to Mars, where the low gravity makes him stronger than the natives and allows him to leap great distances. While it is widely assumed that the 1930 Philip Wylie novel Gladiator, featuring a protagonist, Hugo Danner, with similar powers, was an inspiration for Superman, Siegel denied this. Siegel and Shuster were also avid moviegoers. Shuster based Superman's stance on that of Douglas Fairbanks, who starred in adventure films such as The Mark of Zorro and Robin Hood. The name of Superman's home city, Metropolis, was taken from the 1927 film of the same name. Popeye cartoons were also an influence. The persona of Clark Kent was inspired by slapstick comedian Harold Lloyd, who played timid, bespectacled characters who got abused by bullies, but then would snap and fight back furiously, turning the tables on their tormentors. Shuster, who also wore glasses and described himself as "mild-mannered", found Lloyd's characters relatable. Siegel thought giving Clark Kent glasses would be interesting, because at the time no adventure hero in comics wore glasses. The pair collected comic strips in their youth, with a favorite being Winsor McCay's fantastical Little Nemo. Shuster remarked on the artists which played an important part in the development of his own style: "Alex Raymond and Burne Hogarth were my idols  also Milt Caniff, Hal Foster, and Roy Crane." Shuster taught himself to draw by tracing over the art in the strips and magazines they collected. As a boy, Shuster was obsessed with fitness culture and a fan of strongmen such as Siegmund Breitbart and Joseph Greenstein. He collected fitness magazines and manuals and used their photographs as visual references for his art. 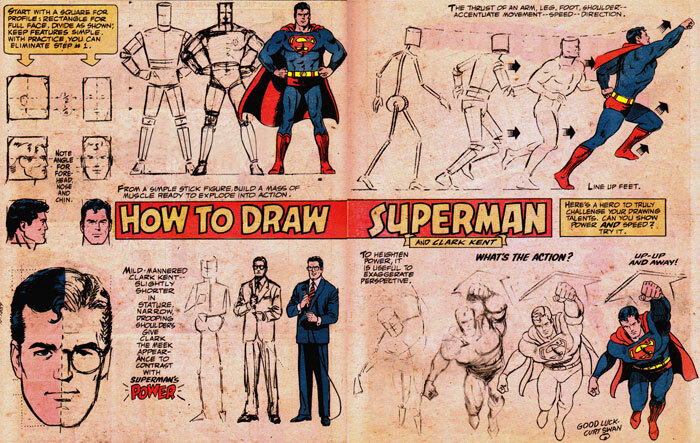 The visual design of Superman came from multiple influences. The tight-fitting suit and shorts were inspired by the costumes of wrestlers, boxers, and strongmen. Shuster first gave Superman laced sandals like those of strongmen and classical heroes. The emblem on his chest may have been inspired by the uniforms of athletic teams. Many pulp action heroes such as swashbucklers wore capes. Superman's face was based on Johnny Weissmuller's. When Superman debuted as the cover feature of the anthology Action Comics #1 (cover-dated June 1938 and published on April 18, 1938). The series was an immediate success, and reader feedback showed that Superman was responsible. In June 1939, Detective Comics began a sister series, Superman, dedicated exclusively to the character. Action Comics eventually became dedicated to Superman stories too, and both it and Superman have been published without interruption since 1938 (ignoring changes to the titles and numbering). A large number of other series and miniseries have been published as well. Superman has also appeared as a regular or semi-regular character in a number of superhero team series, such as Justice League of America and World's Finest Comics, and in spin-off series such as Supergirl. Sales of Action Comics and Superman declined steadily from the 1950s, but rose again starting in 1987. Superman #75 (Nov 1992) sold over 6 million copies, thanks to a media sensation over the possibly permanent death of the character in that issue. Sales declined from that point on. In February 2016, Action Comics sold just over 31,000 copies. The comic books are today considered a niche aspect of the Superman franchise due to low readership. Beginning in January 1939, a Superman daily comic strip appeared in newspapers, syndicated through the McClure Syndicate. A color Sunday version was added that November. The Sunday strips had a narrative continuity separate from the daily strips, possibly because Siegel had to delegate the Sunday strips to ghostwriters. By 1941, the newspaper strips had an estimated readership of 20 million. Shuster drew the early strips, then passed the job to Wayne Boring. From 1949 to 1956, the newspaper strips were drawn by Win Mortimer. The strip ended in May 1966, but was revived from 1977 to 1983 to coincide with a series of movies released by Warner Bros. Initially, Siegel was allowed to write Superman more or less as he saw fit, because nobody had anticipated the success and rapid expansion of the franchise. But soon Siegel and Shuster's work was put under careful oversight for fear of trouble with censors. Siegel was forced to tone down the violence and social crusading that characterized his early stories. 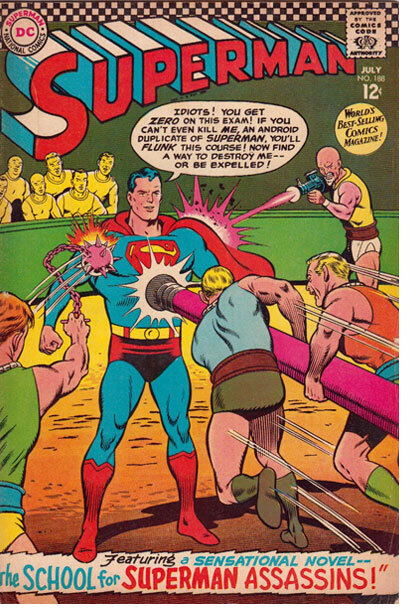 Editor Whitney Ellsworth, hired in 1940, dictated that Superman not kill. Sexuality was banned, and colorfully outlandish villains such as Ultra-Humanite and Toyman were thought to be less nightmarish for young readers. In the earlier decades of Superman comics, artists were expected to conform to a certain "house style". Joe Shuster defined the aesthetic style of Superman in the 1940s, and not just in the comics: he also provided character model sheets for the Fleischer & Famous animated serial of the 1940s. After Shuster left National, Wayne Boring succeeded him as the principal artist on Superman comic books. He redrew Superman taller and more detailed. Around 1955, Curt Swan in turn succeeded Boring. The 1980s saw a boom in the diversity of comic book art and now there is no single "house style" in Superman comics. Siegel wrote most of the comic-book and daily newspaper stories until he was conscripted in 1943. While Siegel was serving in Hawaii, Detective Comics introduced a child version of Superman called "Superboy", based on a concept Siegel had submitted several years before. Siegel was furious because Detective did this without having bought the character. After Siegel's discharge from the Army, he and Shuster sued Detective Comics in 1947 for the rights to Superman and Superboy. The judge ruled that the March 1938 sale of Superman was binding, but that Superboy was a separate entity that rightfully belonged to Siegel. Siegel and Shuster settled out-of-court with Detective, which paid the pair $94,000 in exchange for the full rights to both Superman and Superboy. Detective then fired Siegel and Shuster. Shuster left the comics business and his and Siegel's byline were dropped by DC comics. Siegel became comics art director for Ziff-Davis Company in the early 1950s, and later returned to DC to write uncredited Superman stories in 1959. In 1969, Siegel and Shuster attempted to regain rights to Superman again using the renewal option in the Copyright Act of 1909, but the court ruled Siegel and Shuster had transferred the renewal rights to Detective Comics in 1938. Siegel and Shuster appealed, but the appeals court upheld this decision. After this second lawsuit Siegel's relationship with the hero he had co-created was largely severed. Siegel's later work would appear in Marvel Comics, where under the pseudonym "Joe Carter". Lawsuits were new to DC Comics. Superman's success in 1938 had quickly spawned a wave of imitations, and Detective Comics defended its copyright vigorously. Will Eisner created a character called Wonder Man in 1939, but a lawsuit from Detective Comics forced its cancellation after just one issue. Fawcett Comics introduced Captain Marvel in 1940 and for some years that character outsold Superman, but after protracted legal battles Fawcett was forced to cease publishing Captain Marvel in 1953. In 1972, DC licensed the Marvel Family characters from Fawcett, and returned them to publication. By 1991, DC had acquired all rights to the characters. DC has since integrated Captain Marvel and the Marvel Family into their DC Universe and have attempted to revive the property several times, with mixed success. Due to trademark conflicts over another character named "Captain Marvel" owned by Marvel Comics since 1967, DC chose to publish the character's adventures under the comic book Shazam! for many years, leading many to assume that this was the character's name. DC later officially renamed the character "Shazam" when relaunching its comic book properties in 2011. Siegel in 1975, on the eve of the upcoming Superman movie staring Christopher Reeve, launched a public-relations campaign to protest DC Comics' treatment of him and Shuster; ultimately Warner Communications, DC's parent company, awarded Siegel and Shuster $35,000 a year each for the rest of their lives and guaranteed that all comics, TV episodes, films and (later) video games starring Superman (including the popular Smallville show) would be required to credit Superman was "created by Jerry Siegel and Joe Shuster." Joe Shuster died on July 30th, 1992 at his West Los Angeles home of congestive heart failure and hypertension. He was 78. In 2005 Shuster was inducted into the Joe Shuster Canadian Comic Book Creator Hall of Fame for his contributions to comic books. The Joe Shuster Awards, started in 2005, were named in honour of the Canadian-born Shuster, and honour achievements in the field of comic book publishing by Canadian creators, publishers and retailers. Although Shuster was now supported by a lifetime stipend from DC Comics, he fell into debt  close to $20,000 by the time of his death. After he died, DC Comics agreed to pay off his unpaid debts in exchange for an agreement from his heirs to not challenge ownership over Superman. Shuster willed control of his estate to his sister, Jean Shuster Peavy. On October 2nd, 1992, Jean Peavy and Frank Shuster (Joe Shuster's brother) signed an agreement with DC Comics wherein they re-granted DC all of Joe Shuster's rights in exchange for a $25,000 annual stipend. Siegel died in 1996. In 2005, he was posthumously awarded the Bill Finger Award For Excellence In Comic Book Writing. He was inducted into the Jack Kirby Hall of Fame in 1993. When Siegel died his estate passed to his widow Joanne Siegel, son Michael Siegel, and daughter Laura Siegel Larson, who held respectively 25%, 12.5%, and 12.5% of the interest in Superman. The Copyright Act of 1976 contained a provision which allowed for a creator to terminate their grant of the copyright to their work 56 years after the date the copyright was first secured. The creator would then have a five-year window to do so. Siegel never applied for termination, but his heirs did after his death. 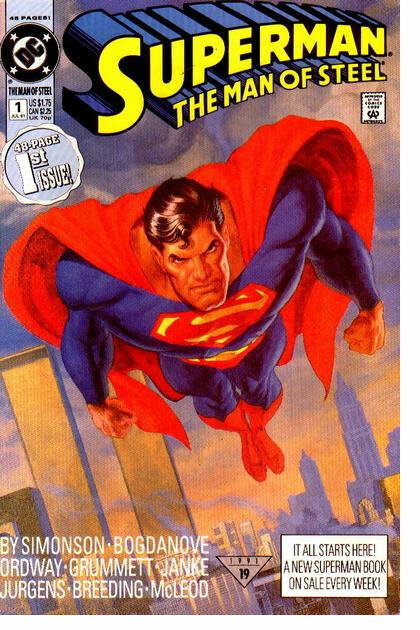 On April 3rd, 1997, Joanne Siegel and Laura Siegel Larson served DC Comics a termination notice for Superman which became effective on April 16th, 1999. The Siegel heirs now owned 50% of Superman, the other half remaining with DC Comics. Warner Brothers attempted to negotiate an agreement with Siegel's heirs in order to retain Siegel's half of the rights to Superman. On October 16th, 2001, Warner made an offer. Warner offered a payment of $3 million, an annual stipend of $500,000, a 6% royalty of Superman and a 1% royalty of his publications, and full medical benefits. Warner also agreed to insert the line "By Special Arrangement with the Jerry Siegel Family" in all future Superman productions. The Siegel heirs accepted this offer in an October 19th letter released by their lawyer, Kevin Marks. Copyright lawyer and movie producer Marc Toberoff then struck a deal with the heirs of both Siegel and Shuster to help them get the rights to Superman in exchange for signing the rights over to his production company, Pacific Pictures. Toberoff's plan was to eventually produce a Superman movie after securing the rights. Both groups accepted. The Siegel heirs called off their deal with DC Comics and in 2004 sued DC for the rights to Superman and Superboy. In 2008, the judge ruled in favor of the Siegels. DC Comics appealed the decision, and the appeals court ruled in favored of DC, arguing that the October 2001 letter was binding. In 2003, the Shuster heirs served a termination notice for Shuster's grant of his half of the copyright to Superman. DC Comics sued the Shuster heirs in 2010, and the court ruled in DC's favor on the grounds that the 1992 agreement with the Shuster heirs barred them from terminating the grant. The judge also ruled that the transfer of rights to Pacific Pictures was illegal because it had been made before the effective date of termination of October 26th, 2013. The Shuster heirs appealed to the Ninth Circuit, but the appeals court agreed with the judgment. Superman is due to enter the public domain in 2033. However, this would only apply to the character as originally copyrighted in 1938, and trademarks on various aspects of the character can continue to be, in theory, renewed indefinitely. In Action Comics #1 (April 1938), Superman is born on an alien world to a technologically advanced species that resembles humans. When his world is on the verge of destruction, his father, a scientist, places his infant son alone in a spaceship that takes him to Earth. The earliest newspaper strips name the planet "Krypton", the baby "Kal-L", and his biological parents "Jor-L" and "Lora"; their names become "Jor-el", and "Lara" in a 1942 spinoff novel by George Lowther. The ship lands in the American countryside, where the baby is adopted by the Kents. In the original stories, they adopt him from an orphanage. The Kents name the boy Clark and raise him in a farming community. A 1947 episode of the radio serial places the then-unnamed community in Iowa. It is named Smallville in Superboy #2 (June 1949). New Adventures of Superboy #22 (Oct. 1981) places it in Maryland. The 1978 Superman movie and most stories since place it in Kansas. The Kents teach Clark he must conceal his otherworldly origins and use his fantastic powers to do good. Clark creates the costumed identity of Superman so as to protect his personal privacy and the safety of his loved ones. As Clark Kent, he wears eyeglasses to disguise his face and wears his Superman costume underneath his clothes so that he can change at a moment's notice. To complete this disguise, Clark avoids violent confrontation, preferring to slip away and change into Superman when danger arises, and suffers occasional ridicule for his apparent cowardice. Writers developed Superman's powers gradually. Since the beginning, he has had superhuman strength and a nigh-invulnerable body. In the earliest comics, Superman travels by running and leaping. In the radio serial that began in 1940, Superman has the ability to fly. Fleischer Studios also depicted Superman flying in a theatrical animated series they produced that same decade, because this required fewer frames of animation, and their animation tests of Superman leaping looked "silly" anyway. X-ray vision is introduced in Action Comics #11 (April 1939) and heat vision in Superman #59 (Aug. 1949). Originally, Superman's powers were common on Krypton, but in later stories they are activated by the light of Earth's yellow sun, and can be deactivated by red sunlight similar to that of Krypton's sun. Siegel understood that Superman's invulnerability diminished his appeal as an action hero, and so wrote a story introducing "K-metal", whose radiation harms Superman. This draft was never published since the story had Superman reveal his secret identity to Lois, but the writers of the radio serial took inspiration and introduced the green mineral kryptonite in a 1943 episode. It first appeared in comics in the story "Superman Returns To Krypton! ", credited to writer Bill Finger, in Superman #61 (Dec. 1949). 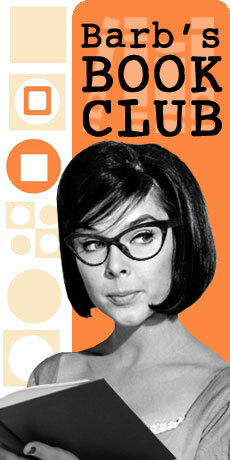 Clark works as a newspaper journalist. In the earliest stories, he is employed by George Taylor of The Daily Star, but the second episode of the radio serial changed this to Perry White of The Daily Planet. Action Comics #1 introduced Clark's colleague Lois Lane. Clark is romantically attracted to her, but she rejects the mild-mannered Clark and is infatuated with the bold and mighty Superman. This love triangle has existed since the character's inception in 1933 and is present in most Superman stories. Jerry Siegel objected to any proposal that Lois discover that Clark is Superman because he felt that, as implausible as Clark's disguise is, the love triangle was too important to the book's appeal. For decades in comic stories, Lois suspects Clark is Superman and tries to prove it, but Superman always outwits her; the first such story was Superman #17 (1942). In Action Comics #662 (Feb. 1991), in a story by writer Roger Stern and artist Bob McLeod, Lois definitively learns of Clark's dual identity, a status quo that would exist for two decades and was reflected in a 1995 episode of the TV series Lois & Clark: The New Adventures of Superman. Both in that series and in a 1996 comic-book story, Clark and Lois marry. In some stories, such as in the movie Superman Returns, they have a son. The first story in which Superman dies was published in Superman #188 (April 1966), in which he is killed by kryptonite radiation, but is revived in the same issue by one of his android doppelgangers. In Superman #75 (Jan 1993), Superman is beaten to death by Doomsday, but is revived by the Eradicator. In Superman #52 (May 2016), Superman is killed by kryptonite poisoning, and this time he was not resurrected but replaced by a Superman from another universe, ahead of a continuity reboot titled Rebirth. In 2011, DC Comics relaunched its entire line of comic books under the rubric The New 52. In the new continuity, Clark is not married to Lois and his parents are dead at the hands of a drunk driver. In Superman vol. 2, #43 (Oct. 2015), Superman's identity is exposed to the whole world. In May 2015, an alternate, earlier version of Superman was introduced in the series Superman: Lois and Clark and for a time Earth had two superheroes each called Superman. The alternate-universe version remained on Earth after the other one died in Superman vol. 2, #52 (May 25, 2016). In the original Siegel and Shuster stories, Superman's personality is rough and aggressive. The character often attacks and terrorizes wife beaters, profiteers, lynch mobs, and gangsters in a rough manner and with a looser moral code than audiences today might be used to. Although not as ruthless as the early Batman, Superman in the comics of the 1930s is unconcerned about the harm his strength may cause. He tosses villainous characters in such a manner that fatalities would presumably occur, although these are seldom shown explicitly on the page. This came to an end in late 1940 when new editor Whitney Ellsworth instituted a code of conduct for his characters to follow, banning Superman from ever killing. The character was softened and given a sense of humanitarianism. Ellsworth's code, however, is not to be confused with "the Comics Code", which was created in 1954 by the Comics Code Authority and ultimately abandoned by every major comic book publisher by the early 21st century. In his first appearances, Superman was considered a vigilante by the authorities, being fired upon by the National Guard as he razed a slum so that the government would create better housing conditions for the poor. By 1942, however, Superman was working side-by-side with the police. Today, Superman is commonly seen as a brave and kind-hearted hero with a strong sense of justice, morality, and righteousness. He adheres to an unwavering moral code instilled in him by his adoptive parents. His commitment to operating within the law has been an example to many citizens and other heroes but has stirred resentment and criticism among others, who refer to him as the "big blue boy scout." Superman can be rather rigid in this trait, causing tensions in the superhero community. This was most notable with Wonder Woman, one of his closest friends, after she killed Maxwell Lord. Booster Gold had an initial icy relationship with the Man of Steel but grew to respect him. Having lost his home world of Krypton, Superman is very protective of Earth, and especially of Clark Kent's family and friends. This same loss, combined with the pressure of using his powers responsibly, has caused Superman to feel lonely on Earth, despite having his friends and parents. Previous encounters with people he thought to be fellow Kryptonians, Power Girl (who is, in fact from the Krypton of the Earth-Two universe) and Mon-El, have led to disappointment. The arrival of Supergirl, who has been confirmed to be not only from Krypton but also his cousin, has relieved this loneliness somewhat. Superman's Fortress of Solitude acts as a place of solace for him in times of loneliness and despair. In Superman/Batman #3 (Dec. 2003), Batman, under writer Jeph Loeb, observes, "It is a remarkable dichotomy. In many ways, Clark is the most human of us all. Then ... he shoots fire from the skies, and it is difficult not to think of him as a god. And how fortunate we all are that it does not occur to 'him'." In writer Geoff Johns' Infinite Crisis #1 (Dec. 2005), part of the 20052006 "Infinite Crisis" crossover storyline, Batman admonishes him for identifying with humanity too much and failing to provide the strong leadership that superhumans need. Superman's age has varied through his history in comics. His age was originally left undefined, with real-time references to specific years sometimes given to past events in Golden Age and early Silver Age comics. In comics published between the early 1970s and early 1990s, his age was usually cited as 29 years old. However, during "The Death of Superman" storyline, Clark's age was given as 34 years old (in a fictional promotional newspaper published), while 1994's "Zero Hour" timeline established his age as 35. Action Comics #149 (Oct. 1950) gives October as Superman's birthdate. 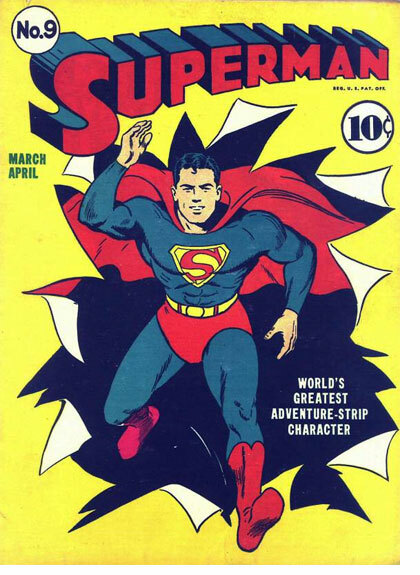 Comics of the 1960s through 1980s describe Superman's birthday as February 29th. Clark Kent, meanwhile, would celebrate his birthday on June 18th, the date the Kents first found Clark; June 18th is also the birthdate of Superman voice actor Bud Collyer. 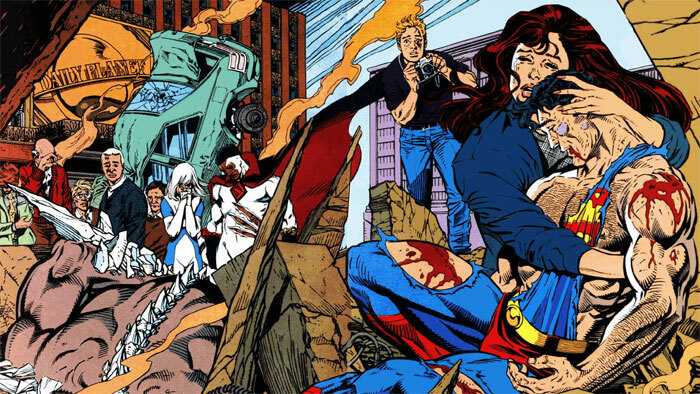 Following the 1980s editorial-revamp DC called Crisis on Infinite Earths, Kent's birthday is given as February 29th. Superman: Secret Origin #1 (Nov. 2009) depicts Kent celebrating his birthday on December 1st. The details Superman's story vary across his large body of fiction published since 1938. Versions of Superman depicted on television and in movies are typically not part of the same narrative continuity presented in the comics, and even in the comic books there are many different depictions of the character, a few of which differ radically from the "classic" version (eg, the graphic novel Superman: Red Son depicts a Communist Superman who rules the Soviet Union). DC Comics has on some occasions published crossover stories where different depictions of Superman interact with each other using the plot device of parallel universes. 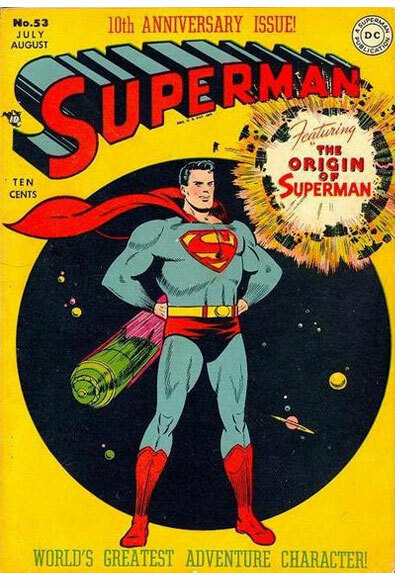 For instance, in the 1960s, the Superman of "Earth-One" would occasionally star in stories alongside the Superman of "Earth-Two", the latter of whom resembled Superman as he was portrayed in the 1940s. DC Comics has not developed a consistent and universal system to classify all versions of the character. 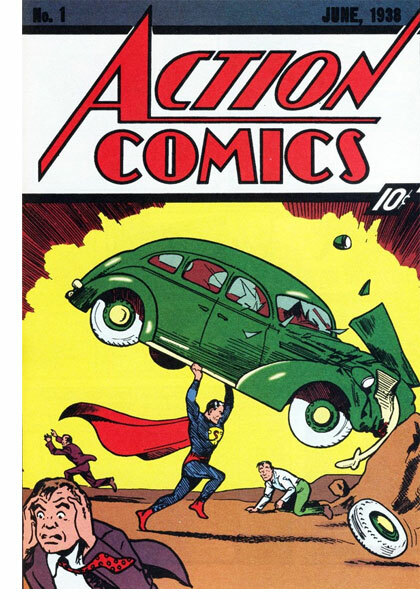 As shown in the original Golden Age comics  including Action Comics #1 (1938), Superman (Vol. 1) #1 (1939), and Superman (Vol. 1) #61 (1949), as well as in later stories such as Secret Origins (Vol. 2) #1 (1986)  noted scientist Jor-L discovers his planet of Krypton is about to explode yet is unable to convince his fellow Kryptonians to save themselves. However, he manages to construct a spaceship to save his infant son, Kal-L. The ship launches just as the planet explodes, with Kal-L landing on Earth in a farm country town (later known as Smallville) around the time of World War I. The Kents (at this time named "John" and "Mary"), passing motorists who witness the landing, take the infant to an orphanage and soon return to adopt the child, naming him "Clark". In his 1942 novel George Lowther changes the names "Jor-L", "Kal-L", and "Lora" (Superman's birth mother) to the more modern "Jor-El", "Kal-El", and "Lara". Clark grows up on the Kent family farm, slowly discovering that he possesses various superpowers but unaware of his Kryptonian origins. After the deaths of his parents, Clark decides to use his powers for the benefit of humanity, constructing a stylized costume and moving to the nearby city of Metropolis. Clark begins work as a reporter at the newspaper The Daily Star and soon makes his debut as the world's first superhero, Superman. By the time the United States had entered World War II, Superman had inspired a boom in the comic book industry and had engendered the new genre of the "superheroes" (although, controversey still exists over whether Superman can be considered the first superhero) which by then had included Batman, The Sub Mariner, Captain Marvel, Robin, The Flash The Green Lantern, Wonder Woman and Captain America. By this time, the character had also leaped from the comics into other media. In 1939, Superman's adventures were seen in newspaper strips, although they were often reprints of what was already appearing in the comics. Also, The Adventures of Superman radio program was broadcast to the nation with millions of listeners with Bud Collyer as Superman. Collyer was the first actor to portray Superman in the media, both on the radio and in the classic Superman cartoons from the Fleischer and Famous studios that continue to astound viewers today. The seventeen animated Superman adventures were the first superhero cartoons ever produced, and Collyer took on the Clark Kent/Superman role for roughly 2000 radio episodes that aired between 1940 and 1951, a record that will never be broken. By dropping his voice nearly an octave as he announced, "This is a job...for Superman," Bud let radio audiences know in no uncertain terms that Clark Kent had made the dramatic switch. Collyer returned to the role once again in 1966 for Filmations The New Adventures of Superman animated series. While Captain Marvel beat him to live action cinema in The Adventures of Captain Marvel (in a serial originally intended for Superman), Superman also became a live action hit in the 1948 self-titled serial and its sequel Atom Man Vs Superman. The serials starred Kirk Alyn (October 8, 1910 - March 14, 1999) who is best known for being the first actor to play Superman on screen. Some critics argue that his portrayal of the Man of Steel was superior to that of George Reeves, because (in the tradition of radio's Superman, Bud Collyer) he played Clark Kent and Superman very differently, adding to the disguise. Reeves' characterizations of the dual roles were much more alike, while Christopher Reeve's portrayal was more around maturity and a sense of inner conflict. However, Alyn lacked the "Greek god" look that Reeves possessed and which worked so well for him in the TV series. Many fans were upset that they never really got to see Alyn fly in the serials; as he jumped up, he turned into an animated character by way of rotoscoping and flew off. (Arguably, the same thing was done in Superman Returns, except that modern animation is somewhat more convincing.) Alyn shared a very short cameo with his serial co-star, Noel Neill, as the parents of the young Lois Lane in the 1978 feature film, Superman: The Movie. After the war though, many of Superman's contemporaries found themselves slowly being forgotten after the boom became a bust. Throughout the late forties and the duration of the fifties, Superman was by far the most popular character in comics , by the mid-fifties, there were few characters to challenge him. Only Batman, Wonder Woman and a few other Golden-Agers remained. During this time, Superman's powers became more and more grandiose. They would expand to include heat vision (heat rays emitting from his eyes), the ability to breathe in space, and the power to travel through time. Superman's adversaries also grew more fantastic and mighty, but more and more issues of the comics involved "imaginary stories" which could result in any number of scenarios (either as a cause or an effect) and did not effect the continuity of future issues. It was also established shortly after World War II that Superman had began his career years earlier in the town of Smallville, under the name of Superboy. Stories about Superboy tended to be illustrated in an idylic fashion and has been compared to the Saturday Evening Post. During the 1940s and 1950s, the Superman mythos gradually added familiar elements, and they became firmly established by the late 1950s. This includes a greater emphasis on the science fiction elements of Superman's world, including his Kryptonian origins, as well as an updated version of his origin story. In the version that became extant by the early 1960s (and memorably summarized at the start of each episode of the 1950s Adventures of Superman television series, Superman is born on Krypton as Kal-El, the son of Jor-El, a scientist and leader, and Lara. When Kal-El is two or three years old, Jor-El learns that Krypton is doomed to explode. He brings this warning to the Science Council, Krypton's rulers. The Science Council refuse to warn their fellow Kryptonians and forbid Jor-El to do so. Jor-El immediately begins work on a rocket that will allow the whole family to escape the coming disaster; however, events move too quickly, and only a small model is completed by the time of the final quakes. Lara stays by her husband's side rather than accompany Kal-El to Earth so that his ship will have a better chance of surviving the trip. 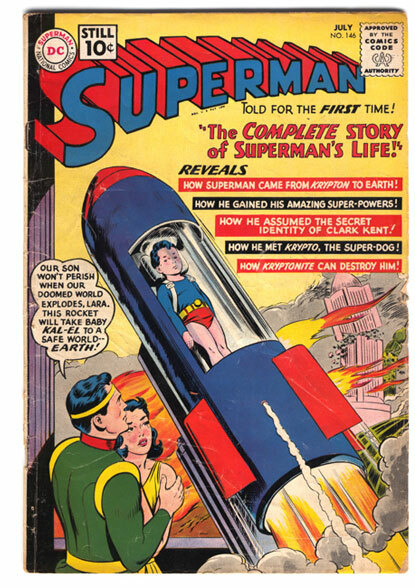 Knowing that Earth's lower gravity and yellow sun will give the boy extraordinary powers, Jor-El launches Kal-El's rocketship toward Earth moments before Krypton explodes. 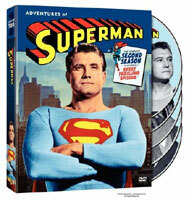 The Adventures of Superman (above) was the first attempt to bring the character of Superman to television. The series, which was syndicated rather than being tied to a network, began filming in 1951, and was first aired on September 19, 1952. 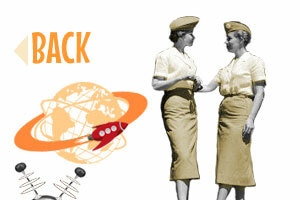 The final first-run episode was broadcast on April 28, 1958. George Reeves starred as Superman with Phyllis Coates as the original Lois Lane. 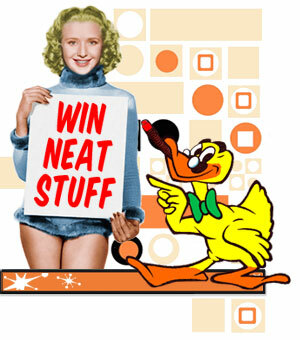 In 1953 Noel Neill replaced Coates. Jack Larson played Jimmy Olsen and John Hamilton was Perry White. Robert Shayne played the semi-regular character Inspector Henderson of the Metropolis Police Department. The show was syndicated. A total of 104 half-hour episodes were filmed for television with the first two seasons (26 episodes each) in black and white. The show was one of the first weekly television shows to switch to full color. The 1960s would be a gloomy decade for Superman. Foreshadowing this, in 1959, George Reeves, the actor who had embodied the Man of Steel in The Adventures of Superman allegedly took his own life. 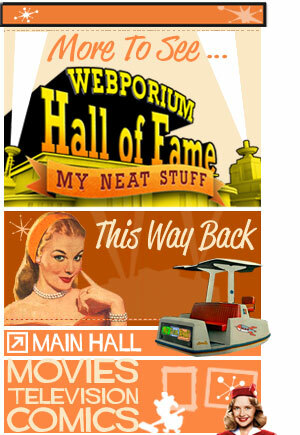 Two Superman related pilots, The Adventures of Superpup (1958) and The Adventures of Superboy (1961), failed. In 1966, a lavish Broadway play entitled It's a Bird...It's a Plane...It's Superman premiered with an actor named Bob Holiday in the title role. Despite its success, plans for a new TV series with Holiday never materialized. 1966 did see the arrival of a somewhat-successful animated series entitled The New Adventures of Superman. After the establishment of DC Comics' Multiverse in the 1960s, it is established retroactively that the Golden Age version of Superman lives on the parallel world of Earth-Two and is named Kal-L, while his Silver Age counterpart lives on Earth-One and is named Kal-El. On Earth-One, the Galaxy Broadcasting Station and its president, Morgan Edge, purchase The Daily Planet, Edge subsequently naming Clark Kent as the lead anchorman for its Metropolis television station, WGBS-TV. Later in the 1970s, childhood friend Lana Lang joins Clark in his newscasts as co-anchor. A series of stories in the 1970s establish that the Earth-Two Superman had married his version of Lois Lane in the 1950s (Action Comics #484, (1978)) and had become the editor-in-chief of the The Daily Star. In the early 1970s, Kal-L discovers a Kryptonian rocket that contains his cousin Kara Zor-L. After acclimating to Earth, Kara becomes the superheroine Power Girl. Kal-L also continues to serve with the revived Justice Society; he is revealed as a founding member of the group in the team's origin story in DC Special #29. In the early 1980s, Kal-L is also shown as a member of the All-Star Squadron during World War II. Despite a changing market, Superman's stories remained similar to those which defined the Silver Age for quite a while. However, by the seventies, it became apperant that even the Man of Steel needed some polishing. Superman entered the Bronze Age in 1970 under famed artist Jack Kirby. Kirby chose to revamp the spin-off Superman's Pal, Jimmy Olsen, using it as a platform for his Fourth-World concept. Among the creations first appearing therein was Darkseid, an alien warlord powerful enough to pose a great threat to Superman himself. In the same year, editor Mort Weisinger left and was replaced by Julius Schwartz, while up-and-coming talents such as Neal Adams, Denny O'Neil, Elliot S! Maggin and Ross Andru added new dimensions to the character in both writing and artwork, it was the evolution of veteran Superman artist Curt Swan which provided a transition from the fantasies of yesteryear to the more modern illustration style. Also Superman's Earth-2 counterpart married the Lois Lane of his world, and new rivals such as Terra-Man and Parasite appeared. In 1978 Superman: The Movie was released. 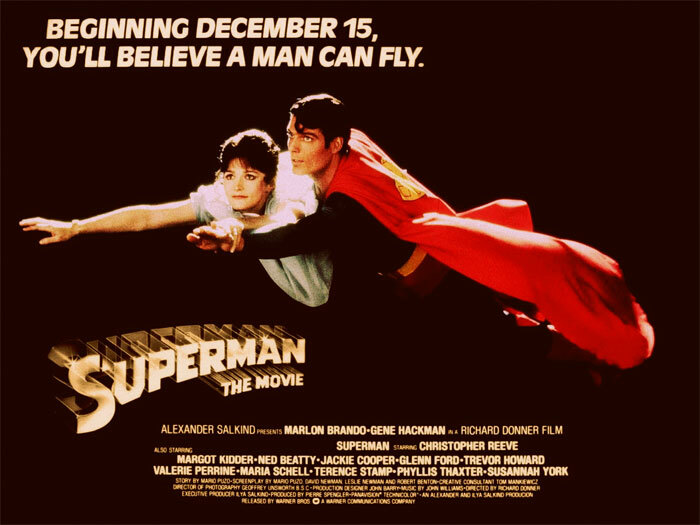 The film featured groundbreaking special effects under the direction of Richard Donner, and stars such as Marlon Brando and Gene Hackman, but it was the performance of newcomer Christopher Reeve that made the film come alive in the eyes of many critics. 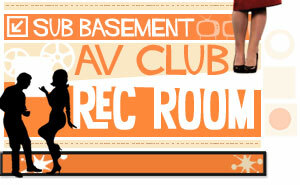 With his stunning good looks and tall stature at 6 ft 4 in, Reeve is said to have drawn eyes when walking into auditions. This paid off when he beat out thousands of others for the role of Superman in the 1978 film directed by Richard Donner. This film was an enormous success and inspired three sequels. Coincidentally, Christopher Reeve's good friend Robin Williams also became a star that same year with the television show Mork & Mindy. Contrary to myth, Christopher Reeve is not related to George Reeves, who played Superman on television in the 1950s. George Reeves' real name was, in fact, George Brewer, and the similarity in their names is only coincidental. Although he was certainly tall enough for the role, Reeve's build was decidedly unmuscular, and he began a training regimen under former British weightlifting champion Dave Prowse, who, a short time later, would gain fame as the man who would give physical form to Darth Vader in George Lucas' immensely popular Star Wars films. Superman was the kind of part Reeve usually disdained. He once said, "I want to challenge myself in my roles, not run around on screen with a machine gun." However, Reeve did find that he could play the character with depth and challenge himself with the role. He said that there had to be something more to the Clark Kent character, otherwise you just had a "pair of glasses standing in for a character." He successfully split the Superman and Clark Kent roles into two completely different characters. Christopher Reeve essentially redefined Superman, no small feat, considering what a global icon the character was and still is. To this day, Reeve's portrayal of Superman is still considered the definitive on screen interpretation by many fans. Reeve made four Superman films, Superman (1978), Superman II (1980), Superman III (1983), though for Superman IV: The Quest for Peace (1987). In 1995, Reeve was rendered a quadriplegic during an equestrian competition and was confined to a wheelchair for the remainder of his life. 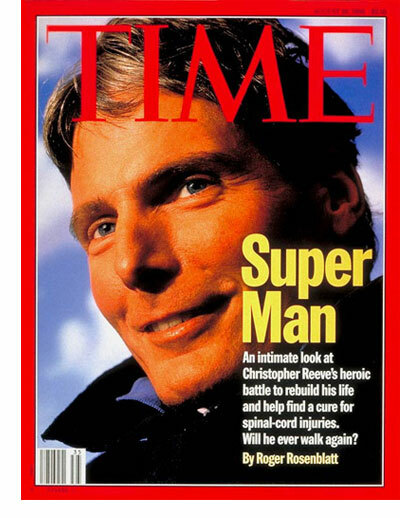 Christopher Reeve became a spokesman for disabled people and a vocal supporter of stem cell research. He also appeared in television movies after his accident. 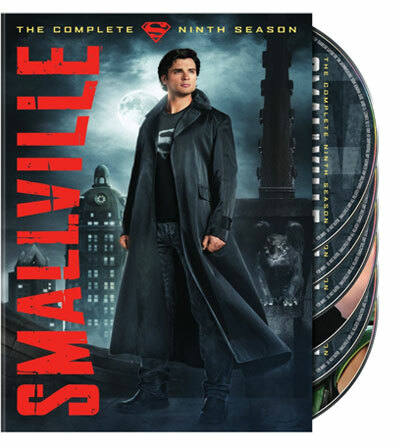 In 1998, he appeared in a remake for TV of the famous film Rear Window and on February 25th, 2003, he appeared in the television series Smallville as Dr. Swann, who provides young Clark Kent with insightful clues as to his origins. On October 25th, 2004, two weeks after Reeve's death, A&E aired Reeve's second directorial project, The Brooke Ellison Story. The film, starring Lacey Chabert and based on a true story, is about an 11-year old girl who becomes a quadriplegic in a car accident and goes on to be the first quadriplegic to graduate from Harvard University. Christopher Reeve died on October 10th, 2004 after suffering cardiac arrest. By the time of his death, Reeve had regained partial movement in his fingers and toes as well as feeling throughout his body, claiming he could feel pin pricks anywhere and could again differentiate between hot and cold temperatures. Even before his death, Reeve's efforts to spread awareness for spinal cord injuries had won him the cultural status of a real life hero, not unlike his cinematic counterpart, Superman. Reeve humbly insisted that there was nothing truly heroic about him or what had happened to him, but that he was merely another human being dealing with an obstacle that life had placed in his path. Nevertheless, fans and admirers have taken to calling him "the real Man of Steel" and "the real Superman." He is survived by his parents, Barbara Lamb and Franklin Reeve, and his three children, Matthew (born 1979), Alexandra (born 1982) and Will (born 1992). His wife, Dana Reeve died of lung cancer on March 6th, 2006. She was a non-smoker. Superman - The Movie engendered a series of sequels throughout the eighties. Meanwhile, the comics continued to sell, yet DC Comics decided that Superman and all of their properties needed a vast overhaul. During the 1985 limited series Crisis on Infinite Earths, the various parallel Earths are combined into one, retroactively eliminating some of Earth-Two's heroes from existence. DC Comics retired the Silver Age version of Superman in 1986, after the publication of Crisis on Infinite Earths. Just before the character's revamp, the Silver Age Superman was given a sendoff in the two-part story "Whatever Happened to the Man of Tomorrow? ", written by Alan Moore with art by Curt Swan. The Modern Age of Comic Books is an informal name for the period in the history of mainstream American comic books generally considered to last from the mid-1980s until present day. During this period, comic book characters generally became darker and more psychologically complex, creators became better-known and active in changing the industry, independent comics flourished, and larger publishing houses became more commercialized. In 1986, after the Crisis on Infinite Earths limited series, DC Comics hired writer/artist John Byrne to re-create the Superman character, reshaping the previous 48 years of stories by putting new twists on the established mythos. In Byrne's miniseries The Man of Steel, Superman, like all post-Crisis Kryptonians, is conceived through in-vitro fertilization on Krypton. While still a fetus, he escapes Krypton's destruction in a spacecraft (his "birthing matrix" with a rocket engine attached), and lands more than 50 years later on Earth, just outside of Smallville, Kansas. Superman is effectively born on Earth and is as much a son of Earth as of Krypton. As in the original version, the Kents find and adopt him and raise him like a normal human. In Byrne's retelling, Clark's powers develop gradually, beginning with his invulnerability, and he doesn't fly until he is a teenager. After leaving Smallville, he travels the world before settling in Metropolis, completing his education, and going to work at The Daily Planet. Although he spends years helping people and averting disasters in secret during his travels, Clark does not become Superman until just before starting work at The Daily Planet, when he prevents an experimental spacecraft from crashing in Metropolis. The Kents remain alive. The post-Crisis comics present Clark Kent as the "real" person, with Superman as the secret identity that he uses to prevent his enemies from harming his family and friends. People do not suspect that Superman is hiding his real identity because he wears no mask. The concept that Clark is the real man, as well as the greater emphasis on his Earthly upbringing, is a deliberate reversal of the pre-Crisis version. Another significant aspect of Superman's reinvention is a reduced level of abilities, with powers such as time travel removed completely and other powers  notably his invulnerability and super-strength  vastly reduced. The series also introduces the idea that Superman's invulnerability stems from his body's creating an "energy field" when exposed to solar radiation from the Earth's yellow sun. Man of Steel #3 depicts the first meeting between Superman and Batman. Superman attempts to take Batman into custody but realizes that Batman operates outside the law. Other post-Crisis comics show that the relationship between the two is a trusting one, despite the unease each feels due to the differences in their methods: Superman relies on trust and strength to achieve his goals in cooperation with the law, while Batman relies on intellect and fear and operates outside the law. Man of Steel also reduces the emphasis on Superman's Kryptonian heritage. Previous comic books depicted a Superman not only aware of his heritage, but also versed in its language, culture, and other elements. In Man of Steel #6, Superman first learns of his Kryptonian heritage as an adult when his birthing matrix generates a memory implant. While such Kryptonian technology is able to help bolster his knowledge, the revamped Superman is no longer a completely Kryptonian-educated man. Meanwhile on television, Superboy became a half-hour live-action television series. The show ran from 1988-1992 in syndication. The show was renamed "The Adventures of Superboy" at the start of the third season. The series was brought to the screen by executive producers Ilya & Alexander Salkind, the producers of the first three Superman movies and the 1984 Supergirl movie. The series, ironically, came about two years after DC Comics had "erased" the character of Superboy from their continuity after the 1985 miniseries Crisis on Infinite Earths. 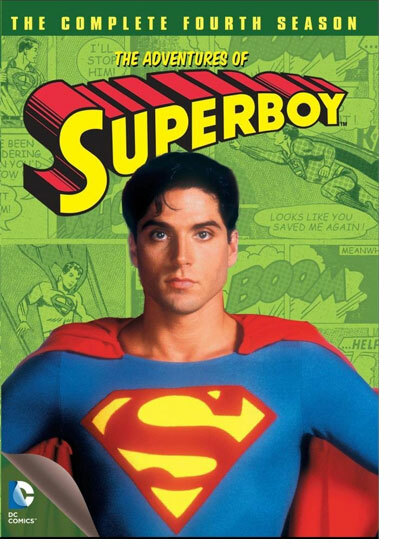 Nevertheless, the show went on in October of 1988 with John Haymes Newton playing the lead role of Superboy/Clark Kent, along with Stacy Haiduk as love interest Lana Lang, and Jim Calvert as Clark's college roommate T. J. White. Scott James Wells played Superboy's arch-nemesis Lex Luthor and Clark's loving parents, Jonathan and Martha Kent, were portrayed by Stuart Whitman and Salome Jens, respectively. This version of "Superboy" featured Clark Kent/Superboy in college at Shuster University in Siegelville, Florida (names which reference Superman's creators, Joe Shuster and Jerry Siegel). This was, of course, due partially to the fact that the show was filmed in Orlando, Florida, in the Disney and Universal studios. At first, much of the action centered around stories that Clark and T. J. reported on for the college newspaper, the Shuster Herald. Unlike other television incarnations of the Superman character, "Superboy" was brought to life by many actual comic book writers. 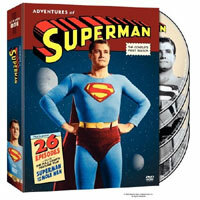 Superman editors Michael Carlin and Andy Helfer penned several memorable episodes, such as "The Alien Solution", its sequel "Revenge of the Alien", and "The Bride of Bizarro". Other comic book writers that contributed to the series include: Denny O'Neil, Cary Bates, J.M. DeMatteis, and Mark Evanier. Lois & Clark: The New Adventures of Superman aired from 1993 to 1997, and starred Dean Cain as Superman/Clark Kent, Teri Hatcher as Lois Lane and John Shea as Lex Luthor. The series generally followed comic book writer John Byrne's 1986 revamping of the Superman mythos, with Clark Kent as the true personality, and Superman the secret identity. 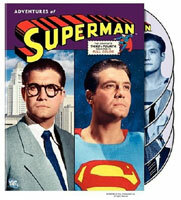 In fact, the show took this notion even further, depicting Clark Kent fairly unequivocally as the "real" personality (apart from necessary precautions to safeguard his secret identity) and Superman as a somewhat performed persona. As Clark attempts to explain to Lois, in the Season 2 episode Tempus Fugitive, "Superman is what I can do. Clark is who I am." Jonathan and Martha Kent are very much alive and active in this version of the story. They remain on their farm in Smallville, but frequently visit Metropolis. This Lois and Clark version was also notable for having the reverse of the traditional distinction between Clark Kent and Superman's hairstyles; here it is Superman who has the slicked-back hair and Clark whose fringe falls more naturally, perhaps to reinforce the notion that Kent is the "genuine" personality where as Superman is the artificial disguise. 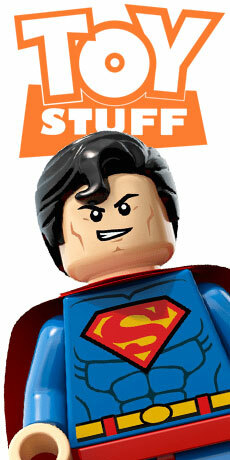 In neither mode does the character feature his trademark spitcurl, making it one of the few depictions of Superman to lack this distinctive feature. In 1998, Warner Brothers Television began pre-production of a proposed television series about a teenaged Batman, tentatively titled Gotham City. Based on a pilot script, it focused on young Wayne, Vicki Vale, Selina Kyle, and Jim Gordon. The project, however, never really got off the ground and into production. Smalleville creators Gough and Millar were able to incorporate a lot of material from the Gotham scripts, such as Lex feeling neglected and unloved by his father Lionel Luthor (which would have been a Harvey Dent story arc). Clark's insecurity and life's indecisions were similar to the scripted teenage Bruce Wayne, the on-off relationship of Clark and Lana paralleled the intended Bruce and Selina entanglement, and Vicki Vale's search for the truth and embroiling trouble could be seen as similar to the predicaments of Smallville's Chloe Sullivan. In 2000, they purchased the rights to the Superboy character, only to make him lose the suit and the majority of his powers. They created a "No Tights, No Flights" rule, vowing that Clark would not, at any point, fly or don the suit during the run of the show. Michael Rosenbaum, already considered for Dent, was cast as Lex Luthor due to his quiet, secretive nature, Kristin Kreuk was cast as Lana, and a young construction-worker-turned-model named Tom Welling was finally cast as Clark Kent. Other casting choices featured Allison Mack as Chloe Sullivan, Sam Jones III as Pete Ross, Annette O'Toole (who played Lana Lang in 1983's Superman III) as Martha Kent, and John Schneider (of The Dukes of Hazzard fame) as Jonathan Kent. In 1992, DC Comics published the storyline "The Death of Superman", in which Superman fights a character called Doomsday. Both Superman and Doomsday are killed, taking each other down with their final blows. "The Death of Superman" is followed by "Funeral for a Friend", which chronicles Superman's funeral and examines other characters' reactions to the death of the hero. Next, DC published the "Reign of the Supermen" storyline, during which four different characters  a new Superboy, the cyborg "Man of Tomorrow", the murderous "Last Son of Krypton", and Steel (who got his own feature film in 1997 starring Shaquille O'Neal) are introduced as Superman, although none of them are. A de-powered Kal-El later surfaces in a Kryptonian battle suit near the end of "Reign of the Supermen". He wears a black costume with a silver 'S' shield and long hair. The cyborg allies with Mongul and destroys Coast City. Superman, Superboy, Supergirl, Steel, Hal Jordan, and the Eradicator attack the "Engine City" built on top of Coast City, and the united Supermen defeat the cyborg. As in the original continuity, Lois Lane is Clark Kent/Superman's love interest. After "the Reign of the Supermen" story line, Lois and Clark are reunited. They eventually marry in the mid-'90s special Superman: The Wedding Album. In 2004, DC published an updated version of Superman's origin in the 12-issue limited series Birthright. Written by Mark Waid, the limited series restores some of the pre-Crisis elements eliminated by John Byrne, including an emphasis on alien heritage. The series was planned as an origin story meant to reconcile material published between Man Of Steel and Birthright. 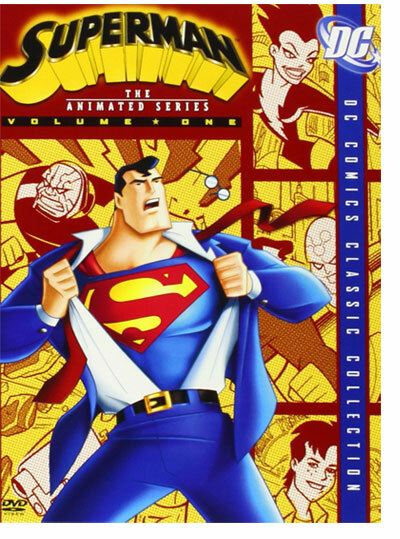 It introduces elements from Superman adaptations such as Superman: The Animated Series and the Smallville television series and brings several Silver Age and some Golden Age concepts back into continuity. Unlike the previous Man of Steel origin, Birthright doesn't eliminate most of the previous Superman stories told, even making reference to Man of Steel itself. As the years went by since the last Christopher Reeve Superman feature film several more Superman movies were planned and subsequently canceled. Eventually, X-Men director, Bryan Singer, an avowed fan of the character, came on board to direct Superman Returns. Singer brings both a fresh eye and a sense of respect to the world's oldest superhero. He borrows John Williams's great theme music and Marlon Brando's voice as Jor-El, and the story (penned by Singer's X-Men collaborators Michael Dougherty and Dan Harris) is a sort-of-sequel to the first two films in the franchise (choosing to ignore that the third and fourth movies ever happened). His Superman is played by Brandon Routh, like Reeve before him a relatively unknown actor. Kevin Spacey was cast as Luthor, and Kate Bosworth was the new Lois Lane, winning part over Amy Adams. 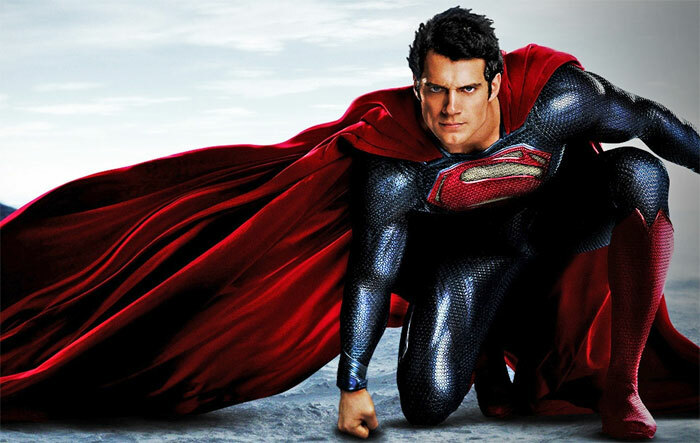 Although Superman Returns received mostly positive reviews and made money at the boxoffice the studio decided to cancel the planed sequel and reboot the Superman franchise with the idea of expanding upon the DC universe with a series of films like Marvel was doing with Iron Man, Captain America and The Avengers. The result was Man of Steel with Henry Cavill as Superman (in a new updated suit) and Amy Adams as Lois Lane to be followed with Batman v Superman with Ben Affleck as Batman and Gal Gadot as Wonder Woman. What member of the Superman family died in Crisis on Infinite Earths? 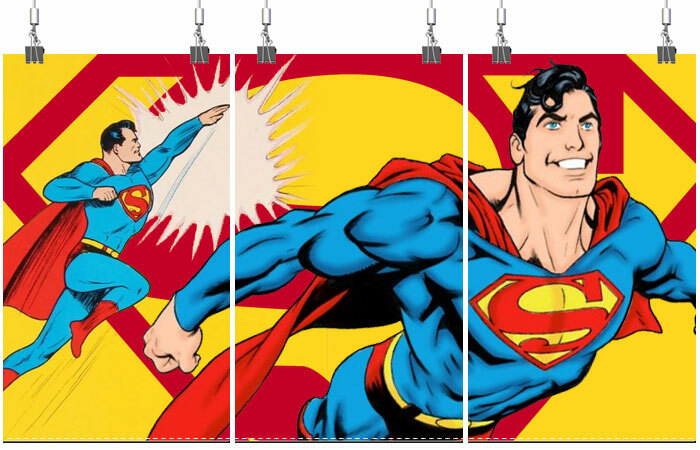 Check out the SuperHero Stuff Superman merchandise page, your directory to the biggest collection of Superman products on the Internet. They have Superman tees coming out their ears; and have tons of other cool Superman products, too, like Superman hoodies, belt buckles, baseball caps, sandals, magnets, alarm clocks and even Superman underwear! All products are official and licensed. All Superman and DC Universe characters and merchandise are copyright © and property of Warner Brothers, DC Comics, and/or their subsidiaries and licensors.